Charles Stanley Nott was born in Luton, England, on January 9, 1887, and grew up in a Hertfordshire village, attending Methodist chapel and teaching Sunday school. As a child Nott took to reading and his spiritual inclinations were fed and nourished on Bunyan, the Gospels and the English poets. Later in life he came to understand how his family's simple faith rooted his own search for meaning and brought him to the Work.1 C. S. Nott died January 23, 1978. He was early struck by "something strange and even absurd in the behavior of grown-up people; their attitude to one another in public, and what they said about each other in private. "2 He left school at 13, restless and unsatisfied with the prospects before him. At 18 he was wandering the world, working at whatever physical jobs presented themselves at sheep stations and farms in New Zealand, Australia and Canada. He joined up when World War I broke out. Wounded and profoundly disillusioned by his war experiences, he set off traveling again after the war. In Vienna, he worked as an agent in the hat business representing a felt manufacturer and he successfully began a similar business in London when he returned home. He was in better health, "though still suffering from the effects of trench-fever and shell-fire. "3 Still feeling empty, he went to New York in October 1923. He got a job at the Sunwise Turn bookshop. The following January A. R. Orage spoke at the bookshop about G. I. Gurdjieff and his Institute for the Harmonious Development of Man. Impressed, Nott attended the demonstrations of sacred dances and exercises and became a life-long pupil. The next three years he spent winters in New York, attending Orage's meetings and movements classes, before returning to the Prieuré for the summer. There he met his future wife, Rosemary Lillard, who had been at the Prieuré during its first two summers and played piano for the movements. They married in 1927 and for the next few years, they lived in New York, but spent their summers in France at the Prieuré. They had two sons, Adam and John, who also joined the Work when they were older. 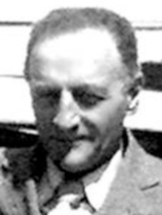 During World War II, Nott followed his wife and children to America. When the war was over they returned to England. He soon made contact with Gurdjieff in Paris, finding his teacher still living in his apartment on Rue des Colonels Renard, working with new French pupils Mme de Salzmann had brought to him. Gurdjieff greeted him warmly and Nott was struck by the look of "deep compassion and sadness"6 in his eyes. He saw how much Gurdjieff had accomplished, using the war and the occupation to create something new and useful with these young French people who in time became the nucleus for the chief center of the Work. Nott lacked the resources in those lean times to keep in close touch with Gurdjieff. He was also limited by declining health, particularly his loss of hearing. Despite these problems, Nott began to work on his writing at this time, and did his best to stay active in Work pursuits. He wrote three volumes that have become important in the Work literature. The first was a translation of the Sufi fable The Conference of the Birds by Farid ud-Din Attar, published in 1954 and reissued in the 1970s. He is best known for the two journals that chronicle his life in the Work—Teachings of Gurdjieff: A Pupil's Journal (which includes Orage's commentaries on the First Series), and Journey Through This World: The Second Journal of a Pupil. Published in 1961 and 1969, they constitute a valuable record of Gurdjieff's time in the Western world, and contribute much to the history and understanding of this teaching. 1. C. S. Nott, Teachings of Gurdjieff (New York: Samuel Weiser, 1962), ix, et seq. 5. C. S. Nott, Journey Through This World (London: Routledge & Kegan Paul, 1969), 110.